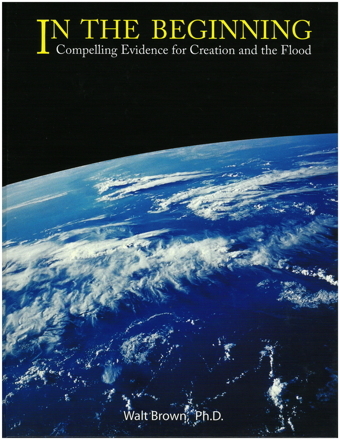 * Interview-Based Review of Flood Models: Jane Albright continues her report on the 16 interviews she conducted with creation scientists and leaders for her article series exploring the leading flood models, the science, the Scripture, and the controversy. In today's Real Science Radio broadcast, Bob Enyart and Albright, who is a working professional engineer formerly with the U.S. Navy nuclear engineering program, discuss Catastrophic Plate Tectonics (CPT), the flood model based on the secular Plate Tectonics model and affirmed by the leading creation groups. Virtually all observers (including of course creationists), acknowledge that Earth's crustal plates move in relation to one another. Specifically, however, Plate Tectonics (PT) is the model based on seafloor spreading and subduction. So the PT model stands or falls (as does CPT) based upon whether those two claimed mechanisms are actual. * Help Bob Identify HPT Scientists & Engineers: Please email Bob@rsr.org if you are a pro-HPT scientist or engineer. The kinds of scientific discoveries that you guys report, much of it published in leading science journals that support young-earth creation, is the only thing that I have found that actually reaches the young kids that I work with. In the 7th grade, these boys and girls go through the Lutheran confirmation process. Afterward, I quiz them. They have learned almost nothing. More significant though is that the entire experience is meaningless to them. It's not that it has no meaning. It's worse than that. To them it is meaningless. The only way that I have found to break through to them about the important of God's Word and the Gospel of Jesus Christ is with the amazing scientific discoveries that Real Science Radio shares that demonstrate that God is indeed our Creator! Thank you so very much for your work! And may God bless your continued outreach! * Help with RSR Research? At Real Science Radio, we always have way more research than we have the time or money to accomplish. You can help with one or both if you'd like to! For example, you can consider purchasing a book from our Amazon.com Research Wish List. Watch out though! They're not inexpensive. You could either read the book yourself to prepare a report (to send off to us at Bob@rsr.org of your assessment of what information may be helpful in our apologetics outreach) or you can just let Amazon deliver the book right to us (where our crack staff, namely Bob or Doug, will give the book an initial read to evaluate its information). So, if you can, please help! And whether you can or not, thanks and may God continue to bless you! See also all of Real Science Radio's HPT resources collected over at rsr.org/global-flood.